Language is one of the integral parts of each country and it brings out the main points and the soul of the nation. According to the surveys, the Ukrainian language takes the 2nd place among the most melodious languages in the world, while Russian is in the list of Top 10 Most spoken ones. 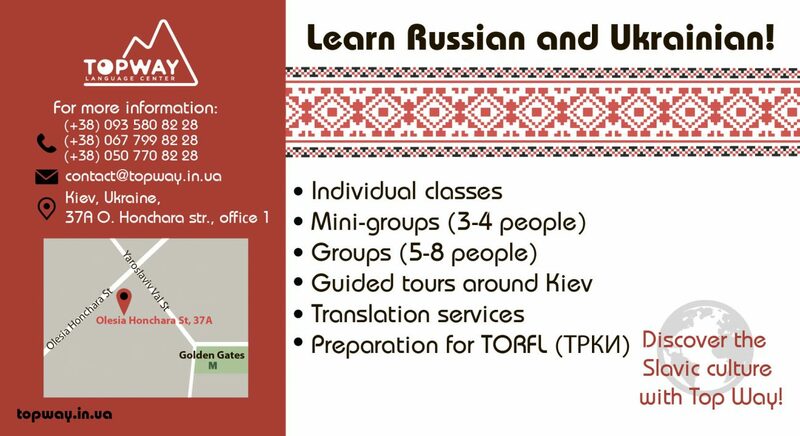 Every year a lot of foreigners come to our country to learn Ukrainian or Russian. Free entry for all EU and many other countries, a low cost of living, favourable geographical location, a lot of sightseeing places, and really wide occurrence of both languages here. Practically everyone in Kiev speaks both Ukrainian and Russian. Kiev Check-In, together with the best language schools in Kiev, are trying to convince you that “pryvit,” “spasibo,” and “ya tebe kohayu” is a drop in the boundless ocean of Ukrainian and Russian languages. Live and learn! NovaMova International Language School is interested in helping you discover your passion for studying languages. That’s why their Russian and Ukrainian courses are aimed at making language learning interesting and manageable. The school was founded in Kiev in 2001 and has since become one of the top Russian language training programs in the former Soviet Union. Today there are four Russian language schools operating in Ukraine (Kiev and Odessa), Georgia (Batumi), and Moldova (Chisinau). In 2016, the NovaMova school in Kiev was re-confirmed as an accredited member of EAQUALS (The European Association for Quality Language Service) and it welcomes students wishing to learn Russian or Ukrainian for work, education, public service or pleasure. So, individual or group-lessons (6-10 people), as well as mixed programs, are available, according to your preference. Teachers at NovaMova’s Language Schools are qualified professionals who also possess years of experience as well as knowledge of English and other foreign languages. At NovaMova, several key approaches are utilised to reach the final goal: teacher-lead instruction and peer-lead conversational practice (or peer-coaching) along with numerous extracurricular activities such as Speaking Club, Cinema Club, Cooking Club, and a variety of guided City Tours focusing on the historic and cultural background of Kiev. This school is fully equipped with DVD-players, laptops, and Smart Boards. Students only need to take a notebook, a pen, and a desire for studying; you can buy or borrow the textbooks. Students can join a group of their relevant level every Monday. For the very beginners, the next admission deadline to NovaMova is September 11 and then October 9. The minimal duration of a course is 1 week (20 classes – from USD 170), but it will take you 1 month to master the Survival Russian course (80 classes – from USD 680). More detailed information about courses and prices is available on the official website in English. Top Way Language Center focuses on teaching different languages – Ukrainian, Russian, English, Spanish, German, Italian, French. The center provides courses for both adults and children. It offers 3 formats of training: individual, in pairs, and in groups (3-8 people). Top Way students can also choose the location: at the office of Top Way, at the premises of corporate customers, or via Skype. 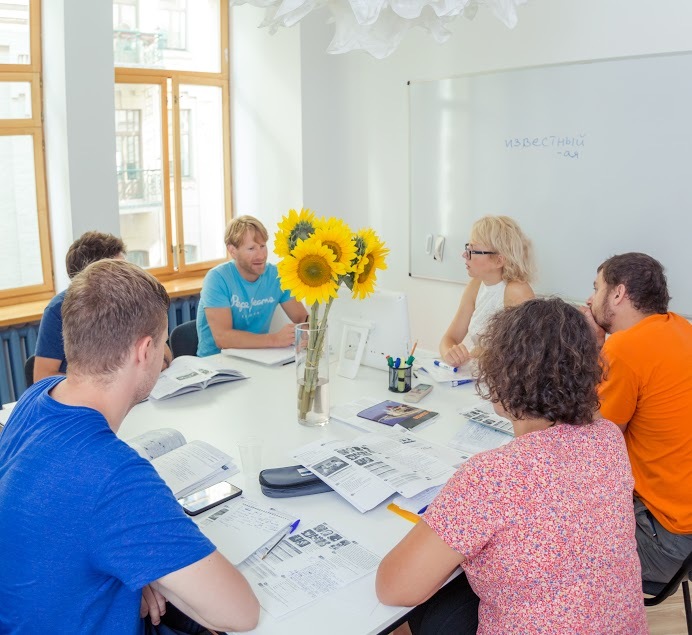 The duration of a course is on average 40-80 hours depending on the level of the student, the format of training and the language, but foreigners who come to Kiev for a short period of time (1 week or more) can also take an intensive course. The teachers at Top Way are qualified philologists with teaching experience. Many of them have international certificates and experience of living or studying abroad. Because they are using a communicative approach, students start speaking the language after they had just a few hours of training. However, if they want to master a language to speak fluently they need to be ready to spend time and effort. Top Way is currently forming groups for September and October. Generally, enrolment in groups is possible throughout the year. The prices are competitive, starting from 90 UAH/60 min ($3.5/60 min) and from 720 UAH/month ($27.5/month) for group lessons. Top Way also offers free testing and a free trial lesson before each course. Isn’t it high time you started learning a new language? Moreover, with ThePoint you can choose the way of studying that suits you best: in comfortable rooms at school, at home or by Skype. Lessons are available in groups of 2-5 people with prices starting at UAH 150 (USD 6) or individual teaching (from UAH 300). The length of the course is 72 academic hours, but you can choose the duration of the each lesson yourself (45, 60, 90, or 120 minutes). Their communicative approach to teaching ensures you will start speaking a foreign language after the first week of learning. ThePoint also organizes speaking clubs, cinema clubs, and grammar clubs in all languages, where you can make your knowledge more profound. Registration for courses takes place continuously, intensive courses are available, too. Location and schedule of ThePoint are very convenient – from 9 am until 9 pm in the centre of Kiev, near Zoloti Vorota metro station. All teachers at ThePoint are carefully selected. They are certified specialists, philologists, and professionals as well as native speakers. ThePoint is the only school in Kiev that employes teachers of some rare languages! 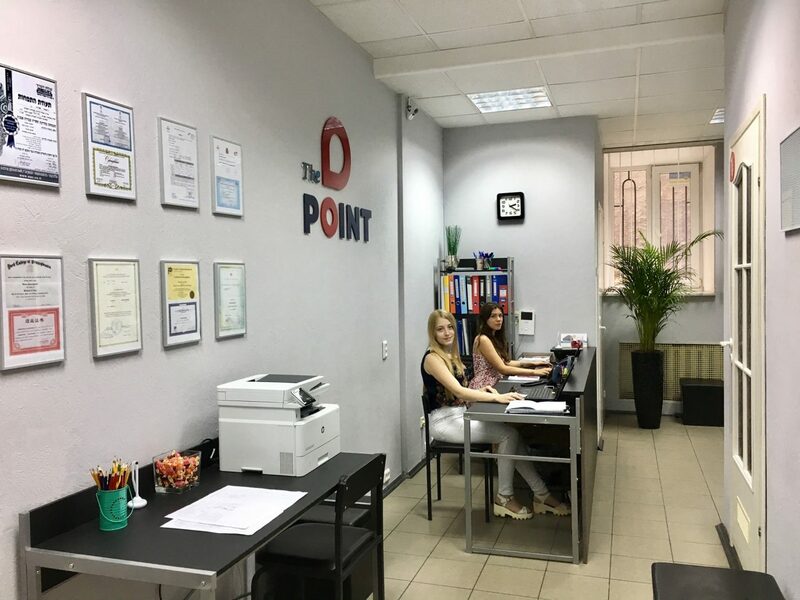 ThePoint invites everyone to Open Doors Day on Tuesdays and Thursdays, where you can get acquainted with its teachers and even take a glance at demo lessons. You can be consulted by phone, Skype or face-to-face here for free. ThePoint’s classroom atmosphere is friendly, their coffee is fragrant, and their teachers are nice! Epoch of International Education is a center for learning foreign languages with 15 years of experience. 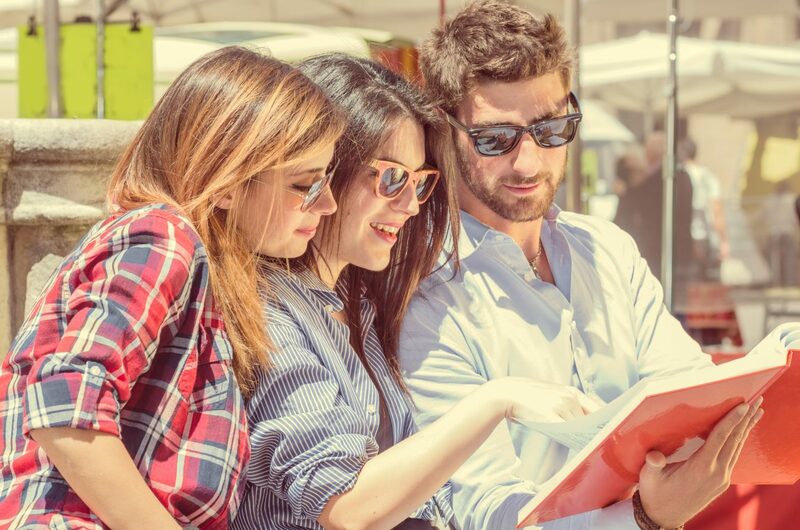 The Company offers individual and group programmes for those who have just started mastering the language and those who already have a good base. Epoch LLC offers General Russian/Ukrainian Speaking Course (approx 60 classes for around UAH 280 each) for students with basic language skills who want to feel free in conducting conversations on general topics. Company’s Russian/Ukrainian Crash Course is created for everyone who needs to learn as quickly as possible through full immersion into the language. Epoch’s Russian/Ukrainian for Business Communication is intended to practice business aspect of the language. Company’s Field Trip Course is not only useful but interesting because the course’s purpose is to overcome language barriers, to practise, and apply knowledge of Russian or Ukrainian in real-life situations (shops, banks, on the streets). Epoch’s teachers do their best to inspire quick learning, using years of experience and synthesizing effective methods. Today, Epoch of International Education is among the best foreign language schools in Kiev and is an honorary member of many Ukrainian, European, and global professional associations. The only question left: which course will you choose?